We work with some of the best Mold Assessment Consultants in the Industry and we can guide you through the entire process of mold remediation. What's the Best Way To Handle Mold Removal? Use A Licensed Mold Remediation Company - When You Want Mold Gone For Good. Check out our CASE STUDIES and find out why AdvantaClean of Stamford CT might be the solution to your problem. You want to solve your mold problem and have peace of mind that your home or building is a safe healthy place for your family or employees. Many people will tell you that they can 'handle mold' but it takes an expert in the process to do it right and not create bigger problems. AdvantaClean takes a lot of pride in teaching you what you want to know about the process so you can make an educated decision. Some people don't want to know any details and just want the peace of mind that your mold removal is handled properly. Going with a reputable company is important. 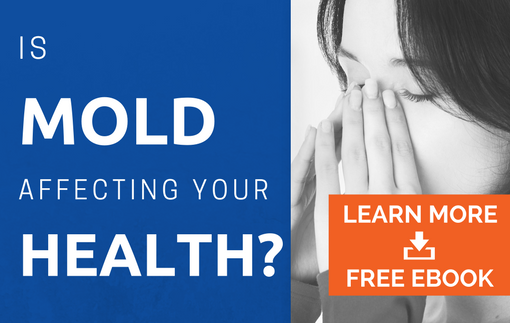 Do You Have Visible Mold Growth? If you have a mold problem you are concerned about, most likely you can see visible growth. This visual growth gives some builders, general contractors, facility managers and handymen false confidence that they can perform mold removal. A licensed mold remediation company would never use the same methods that these individuals use because of the risks and liability associated with them. Individual Mold spores are so tiny that you can not see them without magnification. In fact, you can fit 50,000 mold spores on the tip of a pen! Our processes and procedures as well as third party clearance testing by an expert Mold Assessment Consultant ensures that your home or building is properly remediated. AdvantaClean offers free in home consultations. Call us 24/7 and speak to our friendly office staff about your concerns because you will be glad you did! Since mold can still be toxic to humans and pets even when it is dead or dormant, proper mold remediation requires what we call "source removal," otherwise known as "getting the mold out of your house." A disciplined process typically comprised of containment and cleaning through the use of HEPA vacuuming, HEPA air filtering, antimicrobial wipe-down and often with the addition of other specialized process (where needed) can return your home or place of business to healthy environment where you can breathe easier.